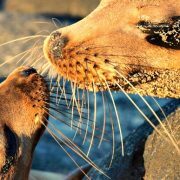 Exploring the Galapagos on a cruise is the optimum way of seeing the islands – it maximizes your wildlife-spotting opportunities and means you can venture to many parts of the archipelago that are only accessible to cruise boats. 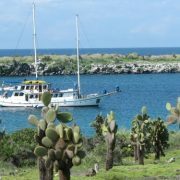 About 80 vessels are authorized to offer cruises in the Galapagos Islands. With so many cruise options available, it can be difficult to choose one that’s right for you. Just a few of the things to keep in mind are your budget, the size of the boat, the length of the cruise and the itinerary. We’ve put together some tips to get your started. Boats are generally classed as budget, mid-range, high-end and luxury. Of course, the more you pay, the better service you get. For example, budget boats have less space onboard. On high-end vessel, guides may have a better level of English. Larger vessels are more stable and therefore a good option for those prone to sea-sickness. They also tend to be more luxurious and have more space, but provide a less personal experience. Larger boats are generally good options for older travelers or those with small children due to the extra space and facilities. A smaller vessel means a more intimate and active experience, and a downsized group of passengers means more time spent off-shore or in the water snorkeling. You’ll also have a better chance to get to know your fellow passengers. These vessels are, however, less roomy – cabins, deck space and dining areas tend to be on the smaller side. There must only be a maximum of 16 passengers per guide, no matter what capacity your cruise boat has. So, if your vessel carries 32 passengers, you’ll have two guides on board. Cruises offer a variety of itineraries: four, five, eight and fifteen day itineraries are the most common. A 10-15 day safari is ideal to get a broad overview of the archipelago and its wildlife. Five to eight days is sufficient time to sample the islands and experience the wildlife highlights. 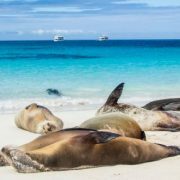 Four-day cruises only really offer a brief snapshot of the Galapagos, as most of the first and fourth days are spent traveling to and from the islands from the mainland. 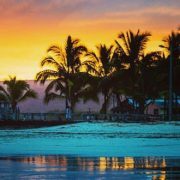 A visit to the Galapagos Islands is first and foremost a wildlife safari. Choosing to travel aboard one of the 16-passenger motor yachts or catamarans is recommended to maximize the amount of wildlife that you see. Click here to find out which wildlife species are commonly found on each of the islands, and here to see when the prime wildlife seasons are. 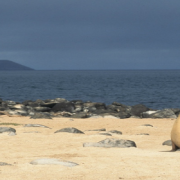 Do you have more questions about which Galapagos Islands cruise would be best for you? Contact us for more information. Can I Organize My Own Galapagos Trip? Best islands in the world? 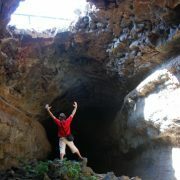 The Galapagos!